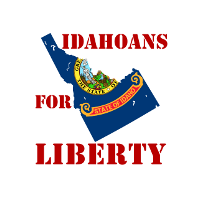 Our friends in the Idaho Second Amendment Alliance (ISAA) are doing excellent work defending our inalienable right to keep and bear arms, but the underhanded ‘secret gun committee’ in the Idaho legislature is doing everything it can to block their efforts. For those who don’t know, Idaho has a Secret Gun Committee. This Committee does not exist — technically. Its members do not publish their meeting times. Nor do these members stand accountable before the citizens of Idaho. They do their work behind closed doors. No votes. No thought for the will of the people. No thought for the will of Idaho’s gun owners. What is the purpose of the Secret Gun Committee? The truth is, this committee exists to control all gun bills introduced in the Idaho legislature. They alone determine what will be introduced and what will not. If you don’t have their blessing for a gun bill, it dies in their backroom gun bill death chamber. We don’t think that passing real pro-gun bills, which restore your 2nd Amendment rights, “too extreme” at all!When Representatives in the House or Senate bring pro-gun bills forward, they are given the runaround. 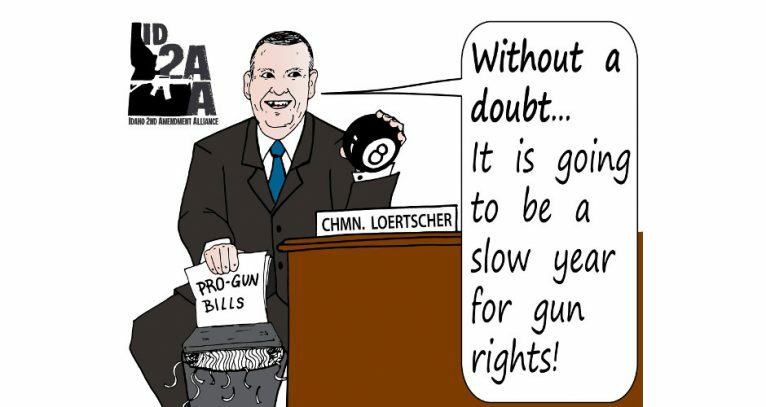 They are stalled and given a plethora of excuses on why a pro-gun bill can’t be heard.”You need to talk to…” or “You need to get permission from…” are just a few of the diversionary tactics the Secret Gun Committee and Chairman Loertscher use. Good Representatives, like Rep. Hanks (R-35) and Rep. Zito (R-23), are tossed aside while the Secret Gun Committee comes out with their own watered down versions of a “pro-gun” bill. This is the same Secret Gun Committee who gave us the “Residency Requirement” that Rep. Hanks is trying to repeal.Who is on this committee? To our knowledge, Rep. Judy Boyle (R-9), House Speaker Scott Bedke (R-27), Sen. Marv Hagedorn (R-14), and Sen. Bart Davis (S-31) are members of the Secret Gun Committee. These are the individuals, along with Chairman Loertscher, who continue to block pro-gun bills in Idaho from being heard unless they give them permission. Send a message or make a call today and let Chairman Loertscher and Speaker Bedke know that their shenanigans will no longer be tolerated. Call Chairman Tom Loertscher at 208-332-1183 or email him at tloertscher@house.idaho.gov. Call Speaker Scott Bedke at 208-332-1123 or email him at sbedke@house.idaho.gov. These are the same guys who blocked permitless carry for at least a year rather than allow a well-written bill to be heard in committee. They are elitists who believe that they hold the golden key to gun rights in Idaho. It’s time to call them out and—if they won’t relent—remove them from office!